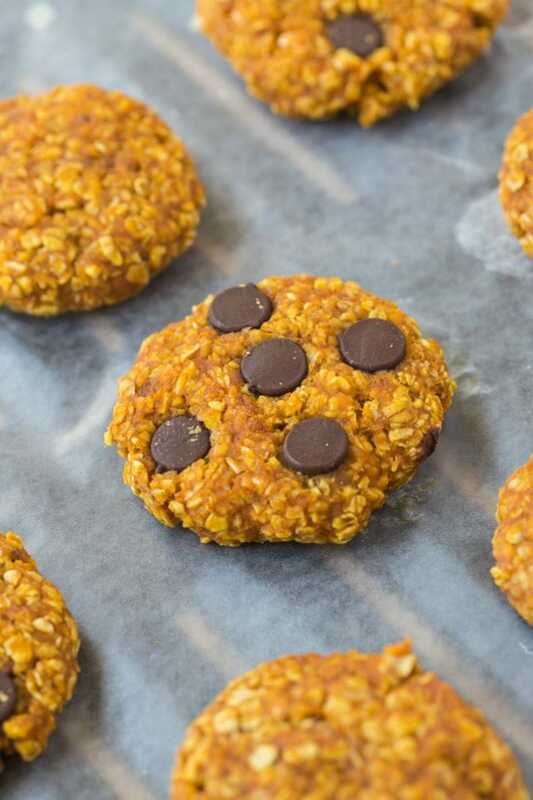 These Healthy 3 Ingredient Pumpkin Cookies are soft, chewy and take less than 15 minutes to whip up! They are an easy snack or breakfast option- Naturally gluten free and vegan, there is an option to keep it completely sugar-free too! It’s not often I get excited about recipes and change up my posting schedule to share it but lo and behold, it happens. The day after I made this no-bake three ingredient pumpkin fudge, I was on a roll- A beta carotene roll. I stocked up on the canned pumpkin and spent the morning in the kitchen. I also did something VERY monumental. You guys, I turned on the oven. Thank you. I may or may not have shed some tears. (I did, but that was because I was peeling onions for tomorrow’s recipe). Anyway, after warming up the kitchen area with the oven, I got busy trying out 3 different recipes. If my recipes haven’t been the no-bake variety, quick and simple would be the next most popular theme or trend. 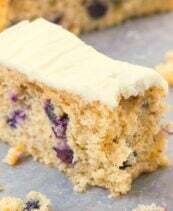 It’s often assumed that delicious tasting recipes need a dictionary-sized list of ingredients or need to pumped pull of Paula Deen butter, sugar and white flour to be delicious. 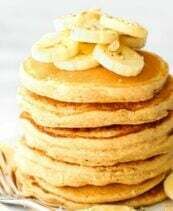 While I clearly have nothing against Paula Deen recipes which use butter or sugar (they are both daily staples for me), I wanted to share some recipes which do taste delicious without either of them. Not only that, some (like these pizza bases or even this fudge) can be taken up on a notch with a schmear (Sandy Cohen OC fans?) of nut butter or crumbled over some ice cream. Over the coming few weeks, I’m going to aim to share more healthy, hearty and easy recipes which taste delicious, but don’t require any fancy, schmancy ingredients and have a VERY short ingredient list. In fact, perhaps I’ll share my recipe for homemade bottled water. It’s life changing. You will never buy bottled water again. 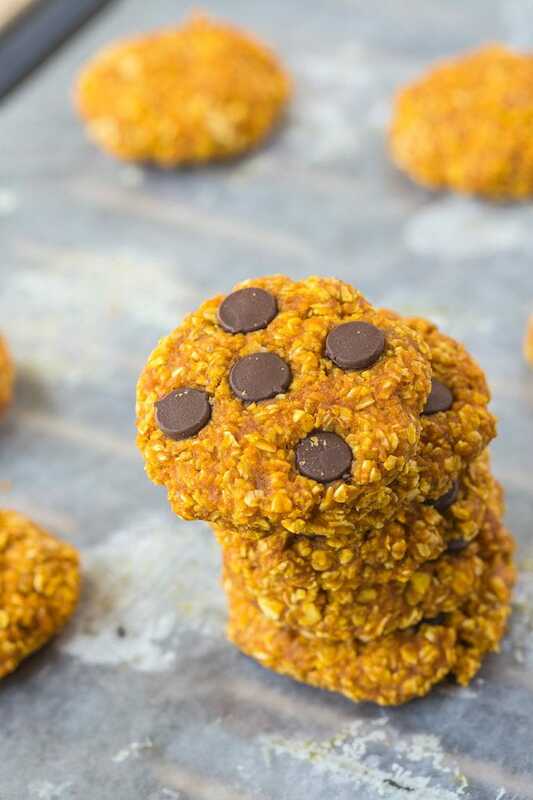 In the meantime, let’s start with this delicious and super simple healthy 3 ingredient pumpkin cookies! 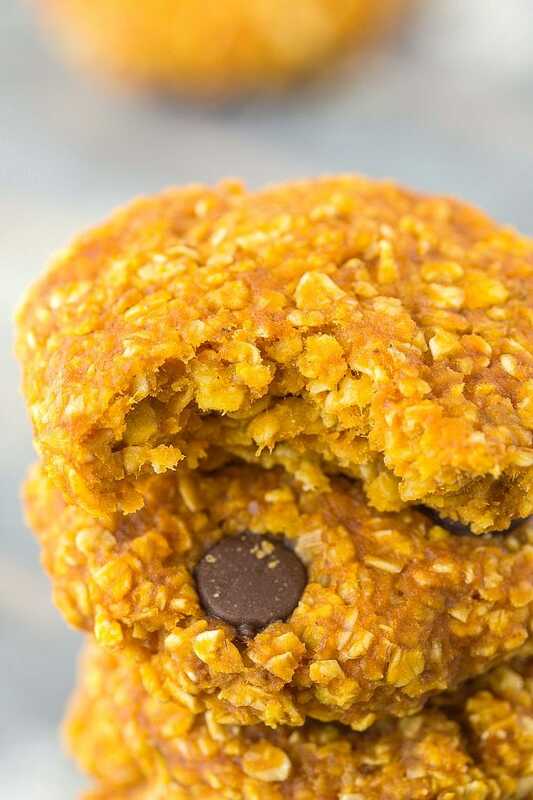 These healthy 3 ingredient pumpkin cookies could not be any more simple and take 15 minutes from prep to plate. 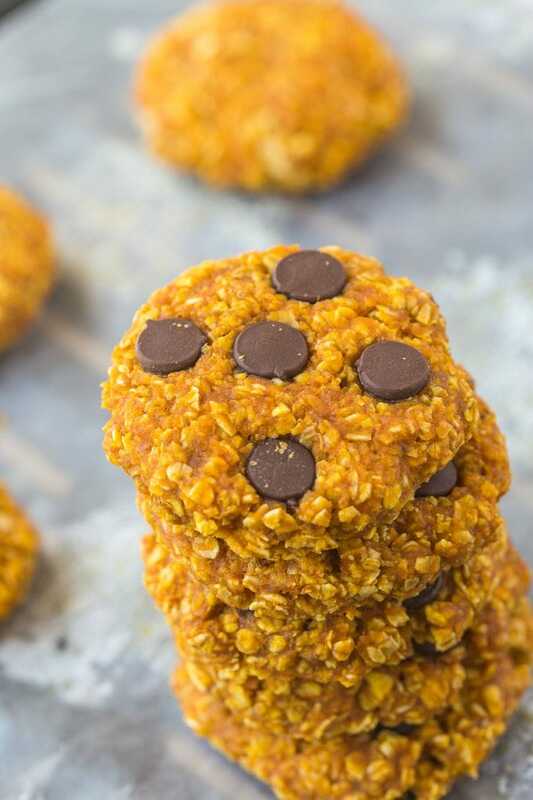 They are soft, chewy and perfect to have as a quick and easy snack or even eaten for breakfast topped with some peanut butter! Be the fancy one and add some chocolate chips because anything with chocolate chips is always better….except on steak. 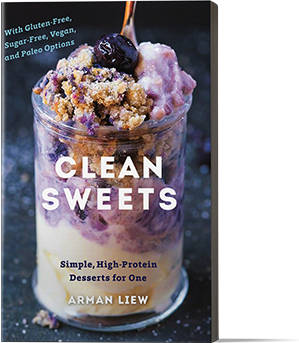 Naturally gluten-free and vegan, there is an option to keep it completely sugar-free too! Cooking Hack- Texture lovers, this can be adjusted to your preference whether your team soft and chewy or team firm and chewy. For the latter, simply bake for an additional 5 minutes! Make these healthy 3 ingredient pumpkin cookies and let’s not only praise pumpkin season but praise the humble oven. Preheat the oven to 350 degrees and lightly grease a baking tray and set aside. In a large mixing bowl, combine the oats, pumpkin and granulated sweetener of choice and mix well. Add the optional nut butter of choice. Using your hands, form into small balls and place on the baking tray and press each ball into a cookie shape. Top with optional nuts and/or chocolate chips and bake for 12-15 minutes, depending on desired consistency. * I prefer a less sweet cookie so kept it to 1/4 cup. Adjust accordingly. These cookies don't need refrigeration and can be kept in a covered container for up to a week for optimum freshness. They freeze very well. 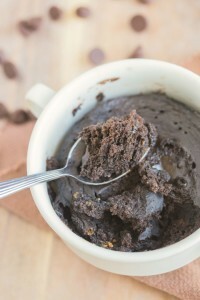 ** This is optional but highly recommended- The cookies become moist and tender. Want more delicious 3 ingredient recipes? Got you covered! 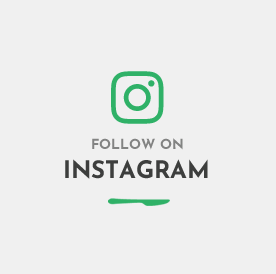 Do you enjoy healthy recipes? Soft and chewy or thick and chewy cookies? 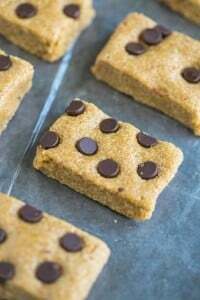 I think it’s thick and chewy for me but it really depends on my mood 🙂 you are totally reading my mind with these recipes – I was just dreaming up pumpkin chocolate chip ideas last night. What an epic dream haha- I dream of silly things like getting yelled at lol! Away in Chicago, making these when up I get back on Wednesday. They are a perfect seasonal treat. Also I have used plantains blended as the base for cookies with pumpkin and they taste awesome. OH Please do! 🙂 Plantains? what a great idea! Oh yes!!!! 😀 Thanks so much, Jessica! So for the pumpkin (not puree) do I have to actually buy a pumpkin or can I go to the store and get canned pumpkin that is gluten free? Jokes aside, these cookies do look awesome. I’ve done the whole pumpkin/boxed cake mix deal, but these are obviously a lot healthier. Mmm… Pumpkin anything, just yes. I shall watch for your bottled water recipe 🙂 I’m sure it will go viral! It is so good, you’ll be jealous of it 😉 It’s life changing. There’s a secret ingredient- Life changing water. I am headed into the kitchen to make these right now!! Right? thanks so much, Gigi! I love that so many of your cookies are also breakfast options 🙂 I also love the OC reference. I may or may not have all four seasons on DVD. OMG. Seriously, the best. Me and my sister would skip 3/4 of season 4 because….Once Marissa died so did the series. 3 ingredients and one of them is pumpkin! Holla! I have that silly song in my head now. Ain’t no hollerback girrrrrrl. right? Alexis and I ate a whole batch between us both! Haha no worries- Welcome back! I totally thought you were going to use a cake mix as one of the ingredients. You didn’t, yes! Love these and can’t wait to try out this recipe! I just bought like 5 cans of pumpkin this weekend and can’t wait to start using it! Bring on the orange skin. um, yum! and super easy too! These will be perfect for my fall dinner party in October! So easy and they sound delicious! Thick and chewy for sure! Keep the pumpkin love coming! YES! 🙂 thanks so much, Heather! More to come! I think I lean more towards thick and chewy, but really…cookies in general make me happy. YES. Except protein cookies made of protein powder and water. You, my friend, are the king of simple, easy, quick, and delicious cookies. And this one has pumpkin in it…I mean, hello???? I despise Paula Deene. She gives butter a bad name. Also I totally did an anti-pumpkin post today. Ha! I still adore you though. Are these single serving. How many calories if I substitute broccoli stems for chocolate chips. Thanks Amen. Hi Amen. One Alexis sized cucumber pack. My ideal cookie is really crispy on the outside and then soft and chewy in the inside. I’m a sucker for a good crust! Also choc chips make everything amazing! Oh yes! that sounds absolutely delicious!!!! 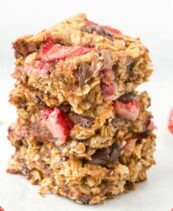 My fav cookie recipe lately is banana, oats, pb + optional chocolate chips. With only three ingredients though – this is even better. Can’t wait to try them! It’s funny, I feel like I can’t get into pumpkin until the temperature drops below 80…. but then again I kinda want to run out and buy 10 cans of pumpkin puree right now! I love using oats as a flour base and do so all the time. YES!!! Such a good, doughy base! Arman, I love these cookies!!! and I’m all about texture when it comes to cookies so thanks for the tip! hooray for pumpkin! Thanks so much! 😀 I am a texture fiend too and can’t play favorites so keep half a batch in it slightly longer! I can’t wait to see your recipe/tutorial for bottled water 😉 . I’m all about soft and chewy cookies. It’s a pity Germany still hasn’t jumped on the pumpkin wagoon [read: canned pumpkin isn’t available]. Thick and chewy cookies for the win!! Seriously, Arman, you are king of creating awesome recipes with like 2-4 ingredients. At this rate you could move back to NYC because you just dont need much kitchen space at all. Like a drawer for ingredients and maybe a spoon. We both know you don’t really need that oven. 🙂 These cookies look awesome! This comment actually made me spit water on my screen. I could live with the troll in Central park. All cookies. All pumpkin. All the time. 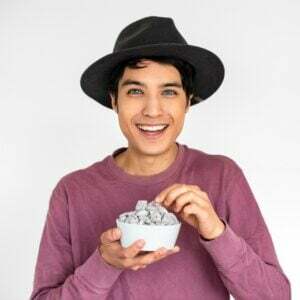 I love to always have hot coffee or tea with my cookies, so with that in mind, I do love something with some crunch so I can play the dunk game. But if there’s chocolate, then nothing else really matters. PS – i’m finally saying hi after following your adventures for so long. 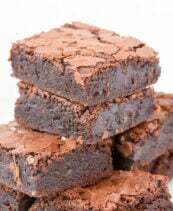 Can I just say thank you for making “baking” in the summer a complete breeze and being a constant saviour to my “I need something fast and easy and delicious NOW” cravings? You had me at pumpkin. I’m a huge fan of simple recipes so I can’t wait to try these out. It’s also a great way to get kids to eat veggies 😉 I’m sure my toddler will approve!!! You’re like a magician with your 3 ingredient recipes! These look amazing and I’m excited to see what else you’ve got coming! Pfffft. Since when are cinnamon and chocolate chips optional? Since never. Stop talking crazy, and keep on with the quick and easy recipes — you know I’m lazy. Oh it’s a winner. Goodbye Evian! Hi! is there a reason you list pumpkin and then say not pumpkin pie filling? What’s the difference? Do you think you could use the same amount of mashed or pureed sweet potato? I love sweet potato, and it’s easier to make that fresh that it is to do fresh pumpkin, plus it’s usually a little sweeter naturally. Love your recipe. This is a great on the go healthy breakfast. Although, I believe they need to be kept in the fridge, because of the moisture in them. I made them on Sunday and when I went to take the last one four days later it was fuzzy. Thanks so much for letting me know, Richelle! I think the inner cookie monster in me ate them all up before any fuzz appeared! Hi! I’m just trying to figure out the nutrition facts before I make these. How many cookies does this recipe make? Thanks! Can I used regular quick cooking oats? I don’t know where to find gluten free oats. Can I also use brown sugar if so do I need to decrease the amount? Hi Shell! You sure can- Definitely keep the brown sugar the same measurement too! How much cinnamon do you put in? I was thinking of adding some nutmeg too. These were delicious and even my picky 3 year old loved them. Thank you for the great quick and easy recipe. Hi there! I live in VT and wondered if you could somehow sub maple syrup for the sugar? I tried this pumpkin cookie recipe out tonight. I try to avoid granulated sugar so I subbed in some of my local honey. These cookies were way to dry and chewy for me. I don’t know what I could do different to make them a little more moist? Maybe add some milk to the batter? Tasty, but way way too dry 🙁 loved the pumpkin flavor! I have a can of pumpkin just waiting to meet oats and raw sugar. 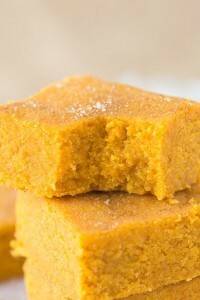 Seriously, lately I’ve been on the hunt in the last few days for low sugar cookies and I love pumpkin. Hello Arman. I’ve stumbled onto your blog via another one that mentioned this recipe (and said it was good!). I have a (maybe) stupid question. Which size can of pumpkin are you referring to? The 15oz or the 29oz can? I stocked up on the larger cans when they were on sale last month but before I begin making these it would be nice to know if I need to double the other ingredients! I probably would be able to figure it out by the consistency but it would help to know before starting. Did I miss it somewhere? Thanks for what seems like a simple but delicious recipe. My cookies came out too doughy after baking them for 15 minutes. The only thing I did different was I used regular oats vs quick oats. Any suggestions as to why? Hi Leah! they should be soft and chewy- A little doughy but still perfectly edible- Using different oats shouldn’t have an issue- Was your pumpkin from a can or homemade? 3 Ingredient Pumpkin Cookies, with addition of 1/4 c. almond butter were great! Did an addition of raisins to basic batter, then topped with sugar free choc. chips, some dried cranberries, and a piece of walnut. Very moist! Love that it’s packed with nutrients! What is nut butter you use with this recipe? Hi Carol! I’ve tried it with both almond butter and peanut butter 🙂 The peanut butter is very evident. Hi CAN you add blueberries instead of nuts and chocolate? I am dairy, gluten and nut free. Hi Tabitha! Absolutely! 🙂 You may need to add a little more oats to combat the moisture. Hello! I love this recipe so much! I am curious about how the dough will last it if I make it the night before, place in the fridge overnight, and make them the next morning. Will the dough get super mushy? Hi Olivia! I wouldn’t recommend making it the night before- It will become a little too thick (The oats will continue soaking up the pumpkin). Hi! Do you think these would work with gluten free *not* quick oats (old fashioned kind that take like 20 minutes to make oatmeal)? These little guys are in the oven now!!! My hubby requested pumpkin cookies apparently someone brought some to a work function. So off I go to make these and make them healthy!! I substituted PB2 for the nut butter, I used honey instead of sugar and I added some slivered almonds. Can’t wait for the finished product! Was just wondering if you could supplement the 1/4 cup of sugar or sweetener with unsweetened apple sauce? Or would it make it too runny? I already made this recipe with just regular sweetner, and they turned out just great, but I was just asking for the next time I make them which will be soon I’m sure. They were a big hit with my husband and my son as well as my self! Great Job! I love fast and easy recipes that aren’t a lot of ingredients and are good for you too! I’ve tried your recipe for energy bites too! They were awesome as well. Your definitely my go-to page for everything quick and yummy! how many do these make?? ?